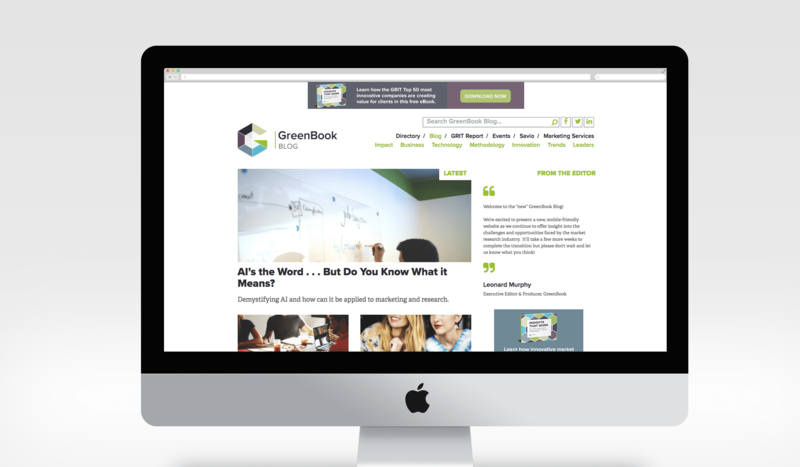 When the famous MRX blogsite GreenBook decided to redesign their site, we leapt at the chance to help them. Organising rich editorial content so that it is super clear and easy to navigate has become a major problem for online news outlets. We rationalised GreenBook’s editorial material and worked with them to prioritize the hierarchy of content on the site, simplifying it and ensuring the user journey was excellent. We also streamlined their design, using the new logo we had developed for the GRIT report and implementing it for GreenBook as a whole. The result has been vastly improved user satisfaction.